CHARLOTTE, N.C. (AP) – Running back Cameron Artis-Payne made a case for more playing time, rushing for 77 yards on 18 carries, and Graham Gano kicked six field goals as the Carolina Panthers defeated the Pittsburgh Steelers 18-6 on Thursday night in the final preseason game for both teams. Both teams rested their starters. Artis-Payne, a second-year player from Auburn who is third on the depth chart behind Jonathan Stewart and Fozzy Whittaker, showed a strong burst and toughness. He also caught two passes for 18 yards, making a nifty cutback on one play to elude a defender and pick up a first down. “The offense played good as a whole,” Artis-Payne said. “We need to capitalize on getting good field position” and score touchdowns. Joe Webb started and played the entire game for the Panthers at quarterback. Landry Jones was ineffective for the Steelers, completing 4 of 5 passes for 29 yards but managing just one first down in four possessions. He was relieved by Bryn Renner, who didn’t lead a scoring drive until the fourth quarter. 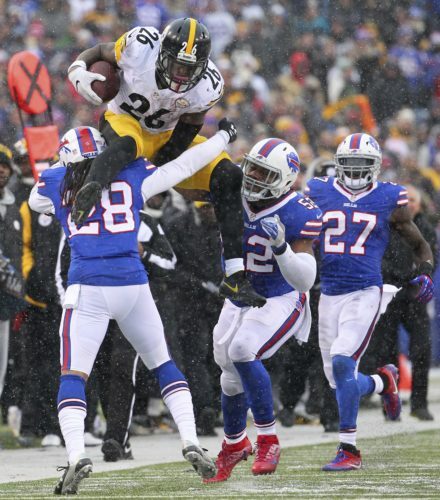 Steelers: Cornerback Artie Burns, the No. 25 pick in the draft, made his preseason debut after missing the last three games with a nagging quadriceps injury. He broke up a third-down pass intended for Marcus Lucas in the end zone to save a touchdown. He was a little upset at himself he didn’t come up with an interception.